Kh Infra Equipment Pvt. 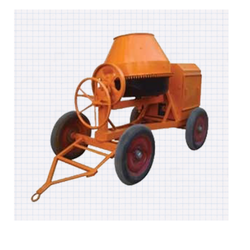 Ltd.
We are pioneer in the industry for providing wide range of Hopper Concrete Mixer which is available at fair market price. Batch Capacity Unmixed / Mixed: 10/7 CFT 285/200 ltrs. Capacity / Hr. : 7.9 Cu. mt. and cheap operation and ability to Mixing extremely. Being a leader in this industry, we are devoted towards providing a premium quality array of Hydraulic Hopper Concrete Mixers. With the growing competition in the industry, we are engaged in offering an extensive array of Mechanical Hopper Machine. These Mechanical Hopper Machines that we offer have high strength and smooth performance. 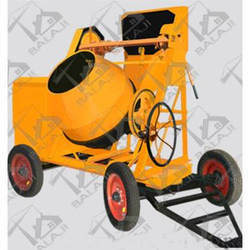 Besides, these Mechanical Hopper Machines are precisely engineered as per the requirements of the clients.